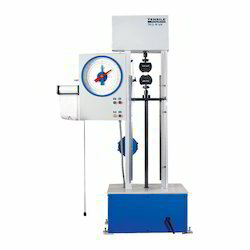 Pioneers in the industry, we offer tensile testing machine and analogue tensile testing machines from India. We are successful traders and supplier of Tensile Testing Machine. 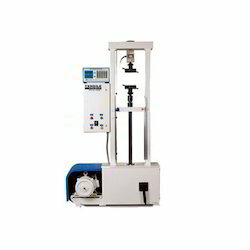 This machine is used totest the tensile strength and compressive strength of materials. It is named after the fact that it can perform many standard tensile and compression tests on materials, components, and structures.We comply with the industry norms and provide assorted machines in order to keep our customers contented by fulfilling their required specifications and demands.